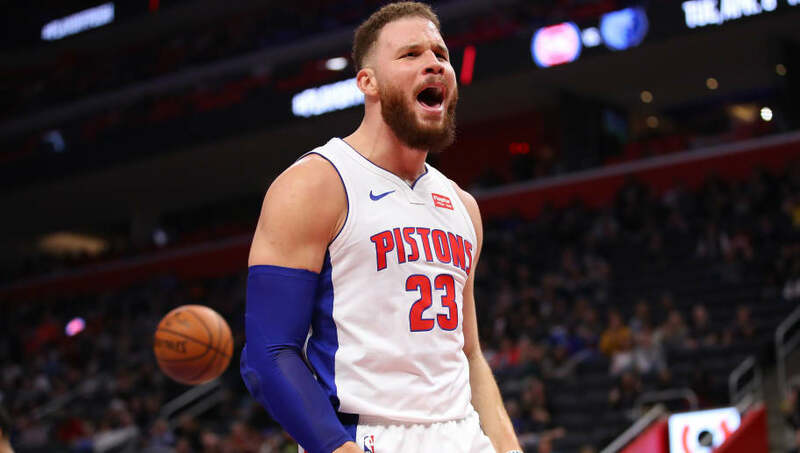 After re-injuring his knee in a game against the Charlotte Hornets in early April, Blake Griffin has been battling soreness, which kept him out of the Detroit Pistons' Game 1 loss against the Milwaukee Bucks. The Pistons haven't reported anything serious about the injury, only listing him as day-to-day, but the latest reports now have a surprising update that will affect Detroit's ability to even be remotely relevant against their first-round opponent. We saw how the Pistons lost on Sunday night without him, so don't expect the road to get any easier. Given Blake's injury history the Pistons aren't taking a chance on their franchise player. Blake wants to play but the medical staff has the final decision on whether he can take the court or not. The Pistons have to consider the long-term implications with him because he's under contract for another three seasons, so being reckless and letting him play when he's not ready would be a terrible move for the organization's future.